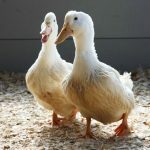 We’re delighted that on the 31st August, IRDG members will have the unique opportunity of an Innovation Practice Group visit to Silver Hill Foods, proud producers of the #bestduck in the world! Such visits are great opportunities for companies to learn from each other, and meet others facing similar challenges. This visit will cover such topics as Managing product innovation; Managing rapid growth in international markets; The journey to sustainability and how it has driven innovation in the areas of waste management and energy saving; and Planning ahead to be ‘Brexit Ready’. And of course we’ll get to savour the #bestduck in the world! Tasty!